For those of you who know me ,you'll recall that I was involved in I.T. and also a network systems engineer. All told I spent 30 years making sure that the computer systems under my care were running at peak performance. Today, computers are far more complicated and the amount of system maintenance is many times more than was needed just 10 years ago. The fact is, most failures that digital systems have (i.e. computers, smartphones, tablets and the like) are caused by failure to maintain software updates of varying kinds. In fact, any time the operating system receives an update, it brings forth a time-consuming cascade of additional updates, that if ignored will lead to varying degrees of failures and vulnerabilities. 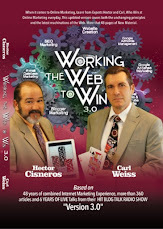 In this episode of Working the Web to Win, I will explore the importance of what I call the Annual Digital Renewal Process. That is - engaging in the necessary system maintenance to maintain effective digital devices. I will look at the necessary steps involved and provide the reader with a step by step checklist to make sure you keep your digital devices in tip top running condition. So break out your notepad and get ready to jot down these tips as I cover the right way to "Clean up, Revise, Secure and Backup your digital devices. In the past I've written about how to avoid getting tricked by app vendors, charlatan software pirates and hackers alike, in such articles as; How to Safely Whet Your Appetite for Smartphone Apps", "Spring Cleaning Means Taking Out the Cyber Trash" and "It’s Time for Some Hi-Tech Spring Cleaning". I've also written about the problems associated with the hassles of data management and upkeep with articles like: "Are You Currently Living in Digital Update Hell? ", "Big Data Comes Wrapped in Big Danger" and "It's Midnight - Do You Know Where Your Data is? Along these same lines was a recent article I wrote called; "Will the New General Data Protection Regulation (GDPR) Give us More Privacy and Security? ", which delves into the new EU law designed to provide consumers with more data protection and privacy. Plus, we have also published an extensive list of articles addressing data breaches and cyber crime, including; "Massive Data Leak Exposes 340 Million Americans Personal Data - Now What! ", "Are You Prepared for the Onslaught of Cyber-Attacks? 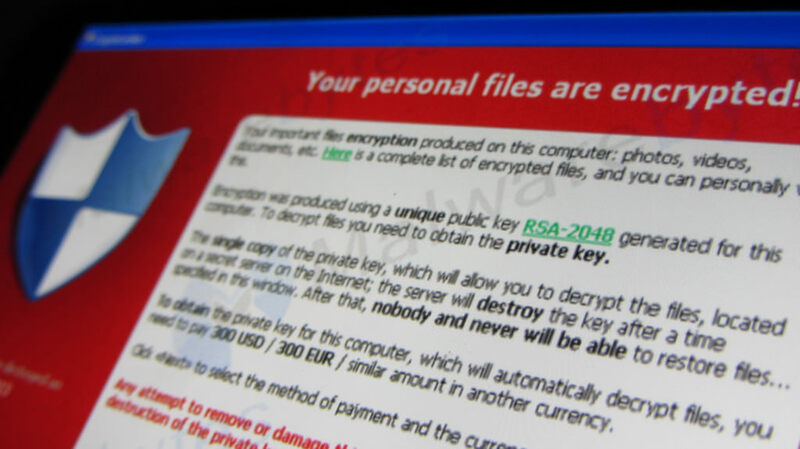 ", "The Crypto Crunch - Ransomware Run Amok" and "How to Survive a Big Mac Attack". 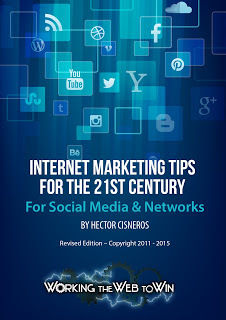 Finally we have provided many articles on how to combat cyber crime. Our latest and most popular article on this subject is; "36 Top Cyber Security Tips to Protect your Digital World". Why Digital Renewal? - Any digital device we own or use requires some form of maintenance to keep functioning. It's a scientific fact that matter requires an insertion of energy to maintain its current state. Any product or machine will eventually lose its integrity if maintenance is neglected. This is particularly true for digital devices. My Annual Digital Renewal Process consists of five steps that are designed to protect your systems and data, review their current operations capabilities, assess their current security status and create a redundant copy of all data that is valuable on these digital devices (including their ability to work properly). These steps should be implemented in the sequence presented, and no step should be skipped. Cherry picking this process will not fully protect you or your precious systems and data files. Now lets look at the five steps. Step One - Make a Full Initial Backup. Before you commit to what I call the "Annual Renewal Process", you have to protect your data from a possible system mishap that could break your system and cause a massive loss of all your data. I always start this process by creating a system restore point. The easiest way to find this function in Windows 10 is to enter "create a restore point" in the - "Type here to search" box on the Windows taskbar. It will take you directly to that function. Then all you have to do is click on the answer Windows provided and then click on "Create" button in the "Systems Properties" box. Once you have created a restore point, you can bring a broken system back to life by using your emergency boot disk (which you should have created when you set up your computer). If you don't know how to create an emergency boot disk, here is a video to help you out. If you use a Mac Computer you can also create a restore disk as well. Here is a link to a Youtube video that shows you how. If you're doing this on an Android or an Apple smartphone or tablet, use the built-in backup function to backup your setting, apps and data before you move on to step two. A simple Google search will provide any additional information you need. 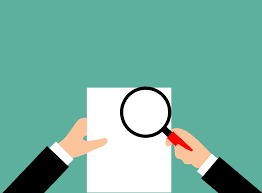 Step two - Delete any old Unnecessary Data - Old emails, unwanted photos, downloads, temp files, duplicate copies, early revision files, unused applications, remove obsolete unnecessary contacts, unused URL's etc... Removing any unnecessary files will lower the overhead your system has. This is also a great time to defrag your hard drive and empty your trash (i.e. 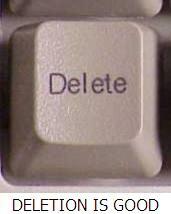 Permanently deleted unwanted files). This will reduce security scan times and make it harder for bad guys to hide their hack traps. I use a tool called "Advanced System Care Ultimate" that helps get this function accomplished. It can provide, trash removal, help you find unwanted files, do a security scan, defragment your hard drive and a lot more. You can get this tool free or buy the premium version like I did. Step three - Update all Software - including Windows 10 OS, all apps, browsers and especially your security applications and backup software. Advanced System Care can help with the updating of your software as well. Run a full system scan after you have updated your security software. Also think about upgrading your security to multiple security apps, adding a security monitoring appliance. This is also the perfect time to update or change your passwords. If they are not 12 digits long, change them so that they are and implement two step authentication. If you think using such a high level of security is a pain, it's nothing compared to the pain off being hacked or having to deal with ransomware. The small inconvenience you have to live with is well worth the additional safety you achieve by raising your security level. Step four - Make a full backup to a local hard drive. 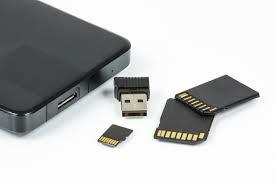 This can be a hard disk drive, a high capacity thumb drive or solid state drive. Then, also make a full backup to a cloud drive. Hard drives are cheap. I have three two terabyte drives and make full backups of them on a rotating basis. I also recommend making a backup to a cloud service. I use Google Drive, Microsoft Onedrive and Dropbox to backup our files onto the cloud. Redundancy has the advantage of creating a fail-safe backup in case things go horribly wrong. Step five - Verify that all is working. I always check every program I use right after I complete my Annual Renewal Process. I also make sure I can access my backed up data files and that my backup includes a complete "System Restore". This way, if something went wrong, I could bring my complete computer system back to life (OS, apps and all data). This would also work if someone were to steal my computer or the building was destroyed with my computer in it. I could restore everything to a new computer. If any item is not working properly, you can restore it or reinstall that item so you're system becomes fully functional. Once you have established that all is working fine, you're ready to take on the rest of the year. The importance of engaging in what I call the Annual Renewal Process is a systematic way to keep your digital devices protected and functioning at the best possible performance level. This process also provides a safety net for your systems, applications and data and provide a review of your current level of security. Leaving out any of these steps can introduce the chance for additional problems, unwanted system failure and increased security risk. 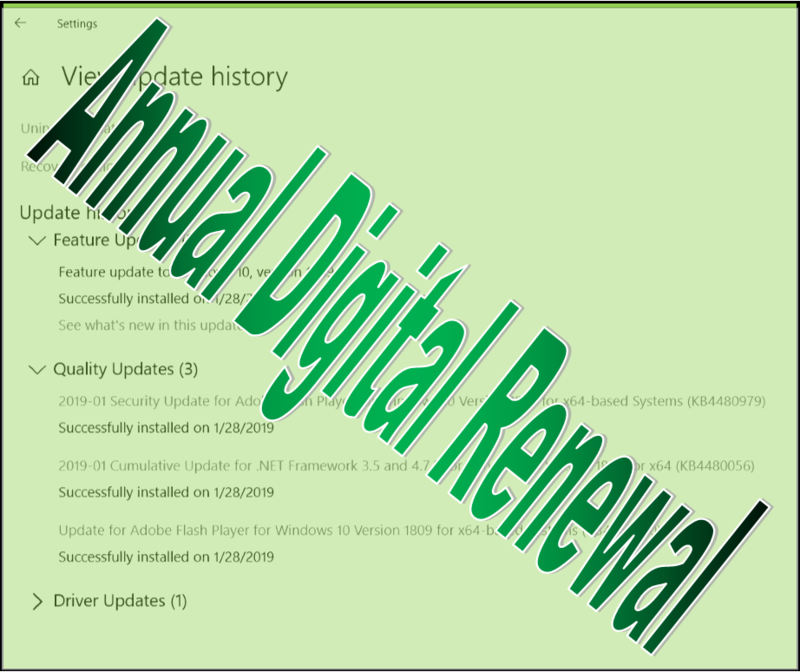 Making this Annual Renewal Process a recurring habit is a great way to maximize the functionality, effectiveness and enjoyment of using your digital devices. Taking the time to make this a habit will save you time, money and a whole lot of grief. Because it's not a matter of if your system will crash, or if your digital device will gets infected, or if you will eventually get hacked, it only a matter of when one or all of these events will happen. This article provides a five-step process designed to protect your digital devices so they run at their best. It provides a steps by step process to clean up, revise, secure and backup all your digital devices, along with ways to make sure your systems are fast efficient and secure to use. Lastly, this article also provides links to many other articles, including a link to the BlogTalkRadio show that goes with this article.